There are plenty of interesting facts about garnet, primarily because it’s a stone with such a long history. At present, what do most people want to know about garnet? It’s notably affordable in some forms, and it’s extremely rare and expensive in others. If you’re a geologist, you might care about the chemical composition. Similarly, a gemologist might want to know more about its refractive index. A shopper looking for a gift might want more garnet birthstone facts. Undoubtedly, these are garnet facts that appealed to me for some reason or another. Moreover, they make for quick conversation pieces if you and your friends find yourself talking about birthstones. 1. 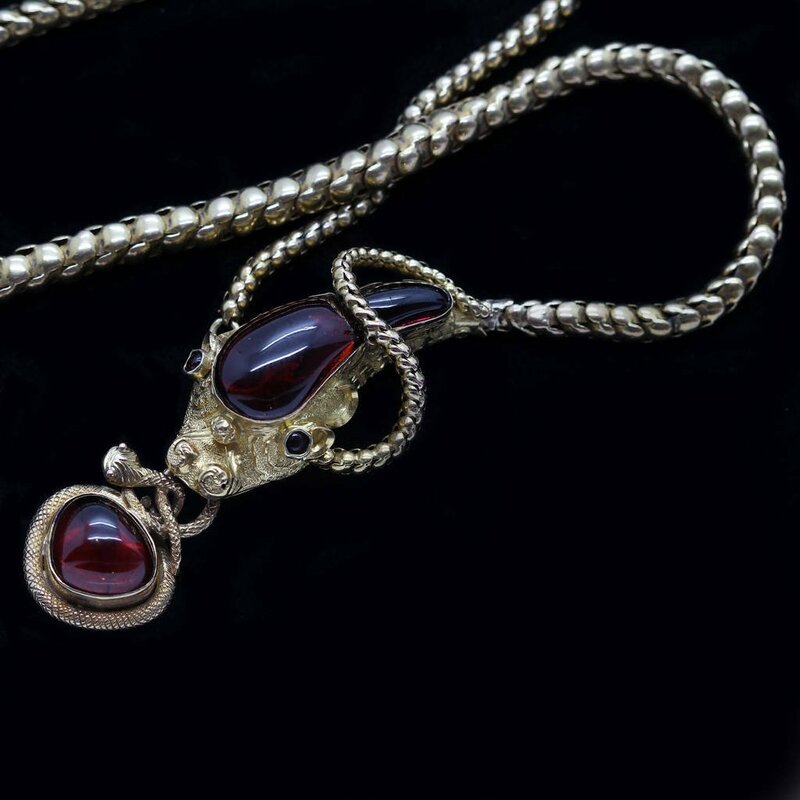 Garnet dates back to the ancient Egyptians. 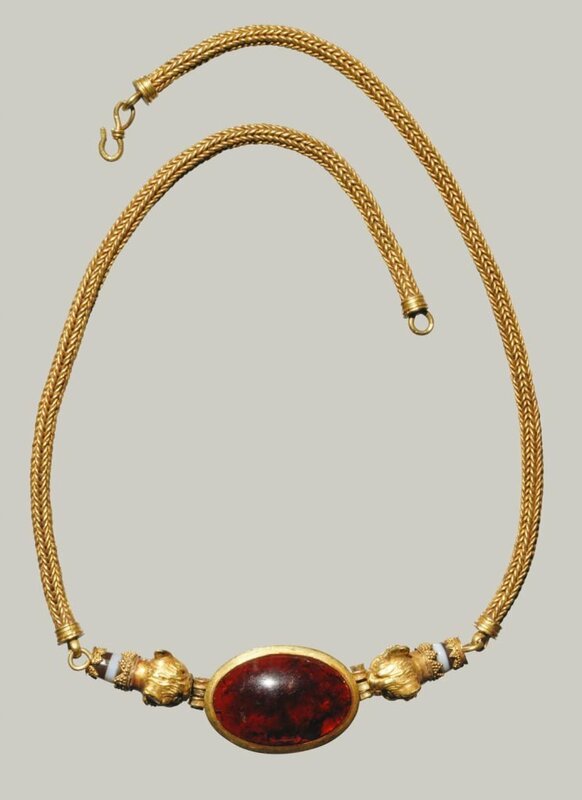 Garnet dates as far back as 3800 BC. The gemstone was discovered in Egyptian art and was thought to be an important symbol of good health. The stone was fashioned into beads for necklaces and used as an inlay for carvings. 2. Garnet is the birthstone of January. 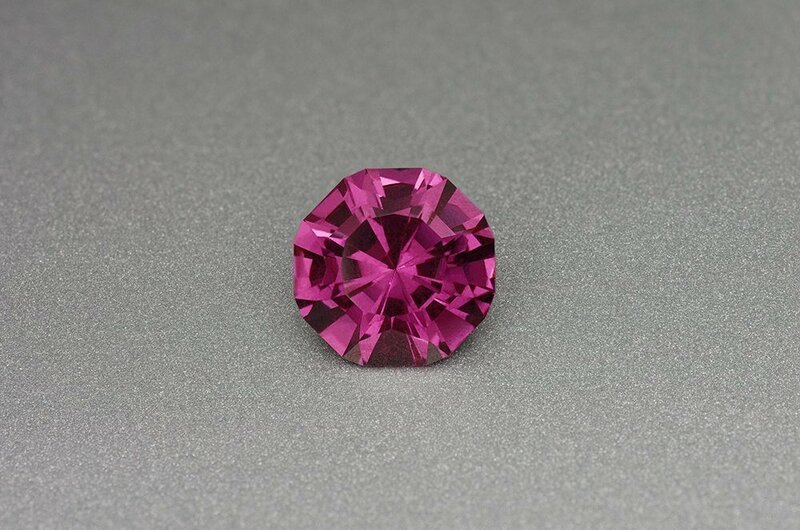 This gemstone has been the birthstone for the month of January since the 15th century. However, it was added to the modern list of birthstones in 1912 by the National Association of Jewelers. 3. The stone is a symbol of lasting friendship. No gemstone is without its lore. Over the years, garnet has been a symbol of peace, health, and deep friendship. Garnet was also thought to enhance karma. Do good while wearing the stone and more good will be bestowed upon you. 4. 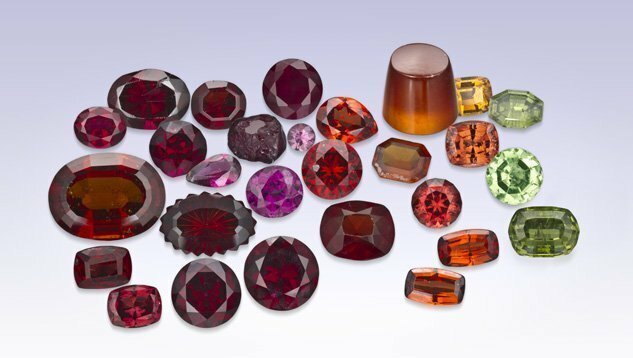 Garnet gemstones come in a rainbow of colors. Garnets come in a wide array of colors. There are several varieties (known as species), and there are also hybrids that combine two or more types of garnet. 5. The gemstone is relatively durable. Garnet has the potential to last for thousands of years with proper care. The stone falls between 6.5 – 7.5 on the Mohs Scale of Hardness depending on the species. Likewise, the surface of the stone can be scratched by harder substances if you’re not careful. 6. People have mistaken glass stones for garnet. Simulated glass stones can look very similar to red garnet species. Also, during the Victorian era, many glass doublets were manufactured. Doublets are when a piece of genuine garnet is fused to a piece of glass to create a larger stone for less money. 7. The term ‘garnet’ comes from an old word for pomegranate. Garnet is dervied from the Middle English word, ‘gernet,’ which means dark red. That term came from the Latin word ‘granatum,’ which means seed. Subsequently, the gemstone’s connection to seeds comes from the red seeds inside a pomegranate. 8. Bohemian garnets were popular in the Victorian era. If ever there was a time period that prized garnets on a mass scale, it was during the Victorian era. Bohemian garnets from Eastern Europe were fashioned into marvelous cluster pieces. Thus the stone was used in engagement rings, mourning jewelry, and anywhere they could fit it. 9. Low-grade garnet is used as an abrasive. Ordinarily, people think of garnet in gemstone form only. However, it’s an effective abrasive and has been used in sandblasting. When mixed with water, it has the ability to cut through materials like steel. Since the mineral is abundant and not all of it is gem-quality, it has been put to good use elsewhere. 10. Healers use garnet to alleviate inflammation and other ailments. Generally speaking, crystals aren’t magic. However, that doesn’t mean that they aren’t an integral component of many healing practices throughout the world. Throughout time, healers have used garnet as an aid in addressing problems relating to inflammation, circulation, and the heart. Perhaps the deep red color closely relates to blood. Healers have also used the stone for skin issues and depression. Garnet is an especially passionate stone closely linked to love, relationships, and friendships. How you choose to appreciate the gemstone is up to you. Do you have any facts about garnet you want to share? Let us know in the comments.